Something rather amusing happened in China recently. In the kind of ironic twist we’ve come to expect from the Middle Kingdom, Father of the Great Firewall, Fang Binxing, was forced to use a VPN after a site he tried to visit during a public presentation was blocked by his own creation. According to Hong Kong-based Ming Pao, the Q&A session planned after the talk was swiftly cancelled as a result in order to avoid embarrassment. And probably just as well it was too, given the authorities in China have been waging war against VPNs for years. Stuck in the middle, as always, are businesses inside the Great Firewall just trying to get along without having one arm tied behind their corporate backs. 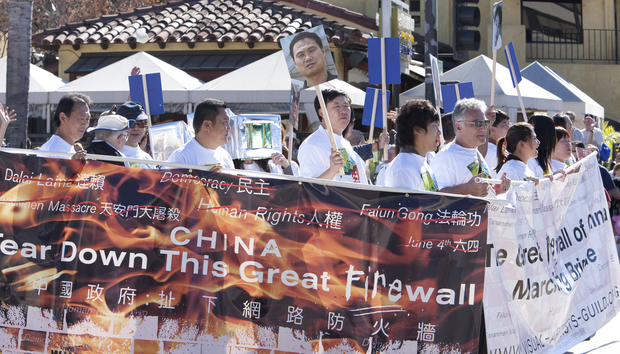 The Great Firewall – or Golden Shield Project to give it its official title – was first conceived back in the early 90s. And with the now-retired Fang as its lead engineer, it has risen to become the most comprehensive and awe-inspiring internet monitoring, filtering and blocking apparatus ever created. It’s rumoured that over two million government employees work on it, adding an extra layer of scrutiny to the formidable range of tools and techniques already amassed to block or slow access to web content, filter search results and prevent social media users from uploading contentious copy. The problems facing businesses inside the Great Firewall – especially Western ones used to using tools that may be banned like Twitter, Facebook and just about any Google platform – are obvious. And that’s why virtual private networks have become so important, as a way to reach the unfettered internet, and access the sites and applications they want. According to Global Web Index stats, the percentage of Chinese netizens using VPNs stood at 29% last year, although the real figure is likely to be much higher. Beijing has always been aware of the potential challenge VPNs present to the Great Firewall. That’s why it enacted a law requiring all VPN vendors to register with the authorities – something foreign service operators haven’t done, for obvious reasons. Internet freedom researcher, Percy Alpha, told me via email that foreign providers like Astrill were largely allowed to operate until recently. “Small business (for example export) and foreigners rely heavily on VPNs,” he explained via email. That’s not to say Beijing won’t be forced to back down again in time. Making the use of VPNs more difficult could severely impact academic research, innovation and the productivity of business users. That’s tantamount to the Communist Party sabotaging its own long-held aspirations to make China the number one global superpower. Yet as part of Xi’s general clamp down on free speech, online freedoms and the like, the authorities have been increasing their scrutiny of these services – and not just at politically sensitive times, when VPNs have always traditionally ground to a halt. Service can be blocked for periods, or become frustratingly slow. “Yeah there’s definitely been a much bigger crackdown on VPNs starting about 15 months ago and intensifying ever since,” explained Charlie Smith, co-founder of anti-censorship body Greatfire.org. That period saw police put pressure on the developers of alternative circumvention tools like ShadowSocks and GoAgent to cease and desist. Their respective GitHub pages soon disappeared as a result. “This incident with ShadowSocks makes it clear that the Cyberspace Administration of China is working closely with state security and local police to further Xi Jinping’s crackdown on internet freedom in China,” Greatfire wrote at the time. According to Smith, however, ShadowSocks is still up and running, as is Lantern, a free P2P circumvention tool. And then there’s Greatfire’s own efforts at “collateral freedom” – an initiative designed to make it difficult for the authorities to block sites and apps by mirroring them on major cloud platforms like AWS. Doing so means Beijing would have to block AWS completely to prevent users in China from viewing the forbidden content, and thus far the internet police have been reluctant to go that far.